Although, when you are first buying hearing aids you are usually totally focused on the price (we understand that), it isn't the most important factor in your decision. Experienced users of hearing aids know that one of the most important aspects of getting on well with hearing aids is the aftercare service you receive. At The Hearing Aid Advice Centre I believe it is just as important as the correct choice of hearing aids. I will provide you with an unrivaled level of aftercare and rehabilitation for the lifetime of your hearing aids (usually 5-7 years). This unique service is included in the purchase price with no other charges whatsoever. 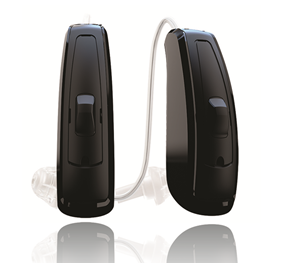 When you are considering the purchase of hearing aids you need to consider several factors. Price of course is a concern, however value for money is more important. So how can you be sure you are getting value for money? In order for you to be successful with your hearing aids, you need good care and support. In fact this is one of the most important factors in your success. The support and care of a good professional will help you succeed. You will need patience and support, and you will need excellent aftercare. Aftercare is important to get the very best from your hearing aids therefore we will visit you up to three times in the first month to make sure your hearing aids are fine tuned to their optimum level. Thereafter, we are available to visit you as you require for the lifetime of your hearing aids (usually 5-7 years). This service is completely free of charge and included in the initial price you pay. We are always available to help you, because we understand that your success is our success, what is best for you always ends up being best for us. For hearing aids in the UK and the aftercare you deserve contact the Hearing Aid Advice Centre.